Macros are strings of text that our ad server replaces with other strings of text. Usually they are used to either collect more data from an impression, or used for Tracking purposes. They can be included in any code that's processed by the ad server during the delivery process. 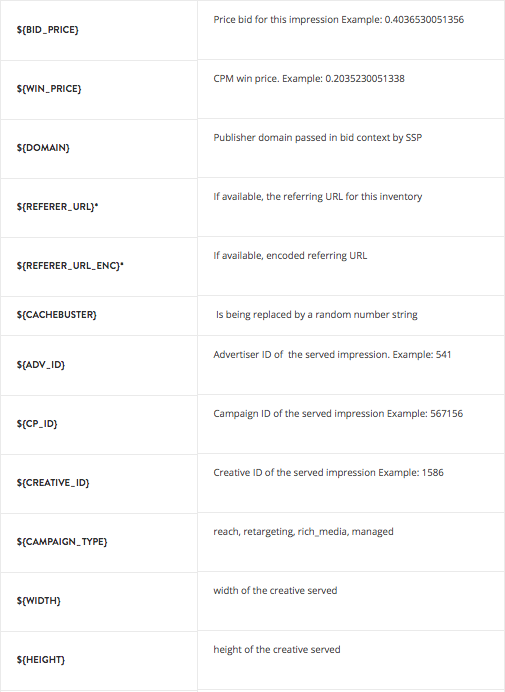 For example third-party or custom creative code, click-through URLs or impression trackers. 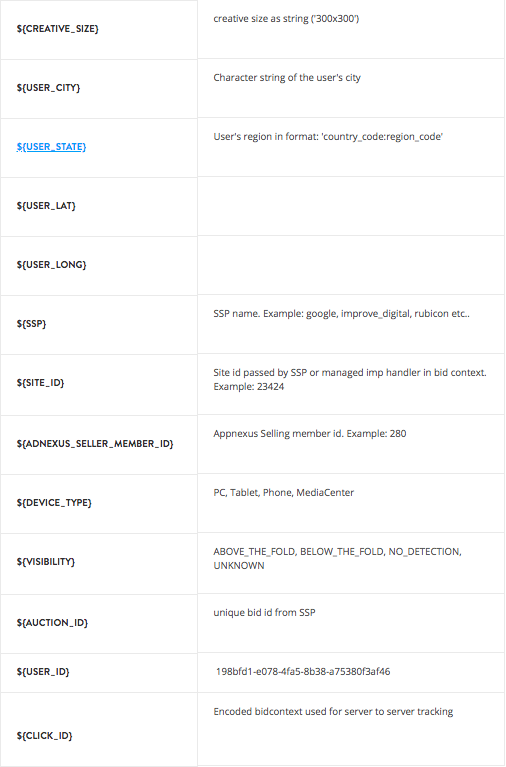 The following macros can be used in the platform for broader impression data collection. These macros are commonly used in impression- or clicktrackers. *When the referrer URL is to large, it will be cut to ensure the bid context won't be bloated. The following rules apply for cutting the referrer URL: take page URL from bid-request and cut either till "?" or (if it is still longer than 120 characters) to 120.